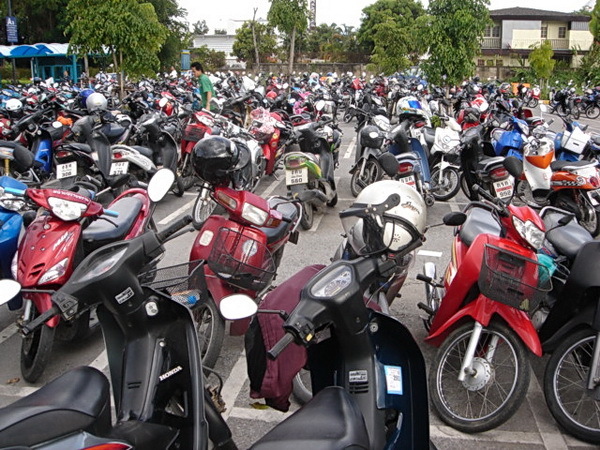 There are lots of motorcycles in Thailand. Most of them are of the variety which we would call a moped or a scooter. They have small engines, between 100cc and 125cc in general, and they cost somewhere in the neighborhood of US $1000-$1300. They are easy to drive, easy to park and they are very maneuverable. And surprisingly they can carry quite a lot of weight despite their small size. The Thais have been quite ingenious in coming up with lots of methods to use them. I have identified 8 methods how I have seen them used, but this list is by no means exhaustive. What’s the limit? Two riders is legal, three is normal, four is frequent, five is possible, and six has been seen. 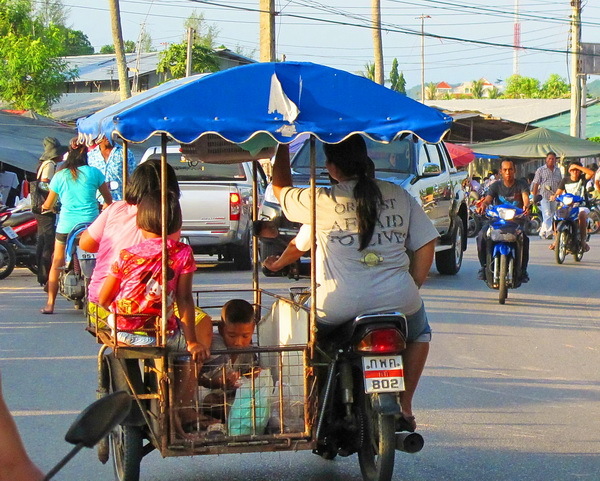 Often the scooters serve as the main family vehicle which means that the parents and the kids all have to fit on it. And somehow they do. Although by law only two are permitted, in actual practice this is not enforced much. 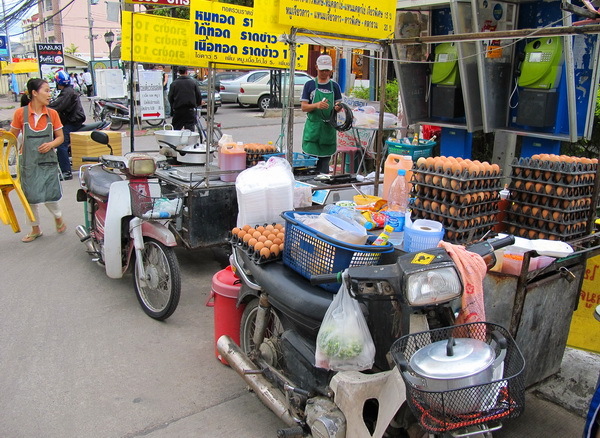 There are tens of thousands of mobile road side vendors in Thailand. They set up a mini kitchen on the side car of their scooter, and they sell everything from cut fruit to cooked meals. These are some of the cheapest meals in Thailand. You never have to go far to find one of those mobile kitchens. Thais don’t necessarily eat 3 fixed meals a days but they like to eat smaller amounts of food throughout the day. If you add a sidecar to the scooter, you can easily fit the entire family into this improvised family vehicle. It is much cheaper than a car, and you can still have a roof over your head. This scene is from Phuket, an island in the south of Thailand and a major tourist destination. 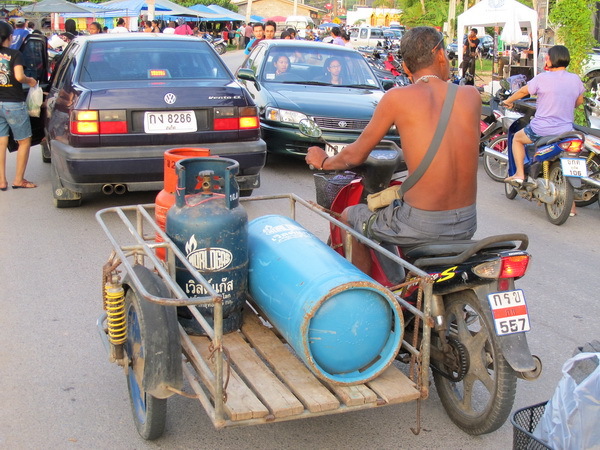 A basic sidecar can turn the scooter into a business setup for delivering goods, like cooking gas in this case. It sure is cheaper than a pickup truck. 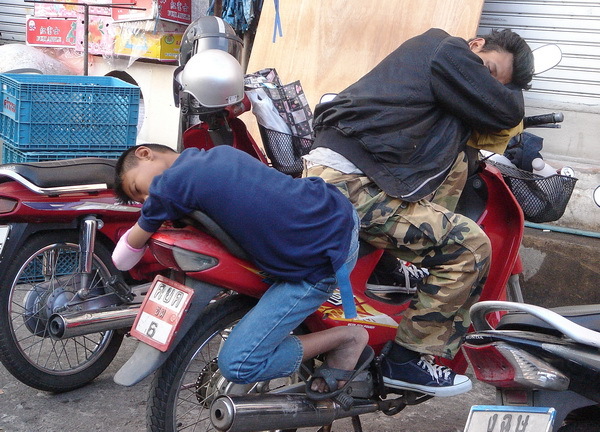 A “scooter bed” might sound tongue in cheek, but I have seen Thais sleep on their bikes many times in all kinds of contorted positions. This scene was unusual since two people managed to sleep on one bike. This scene is from the Warorot market in Chiang Mai, northern Thailand. I took this picture on the island of Ko Lanta in southern Thailand. It is a major tourist destination and the entire taxi service on the island consists of scooters with sidecars. Everything is quite laid back and nobody expects anything more fancy. 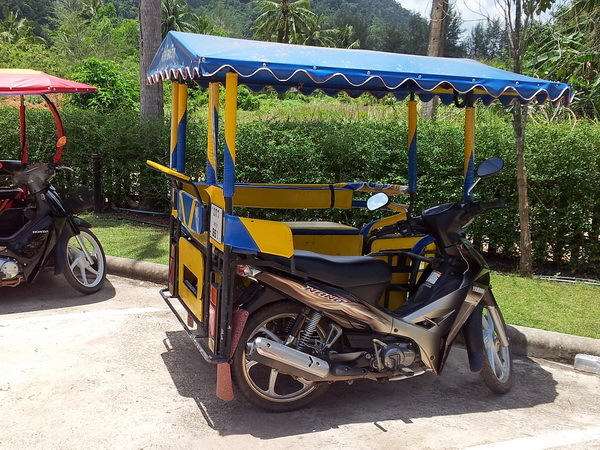 However there are cars on the island and you can even rent one if you want to get around in style. 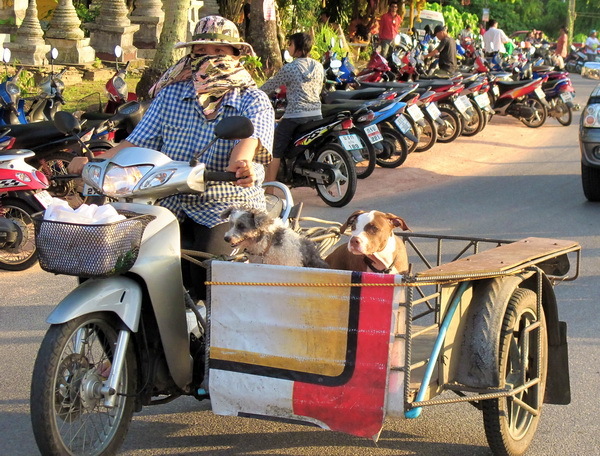 I have often seen single dogs riding on scooters in front of the driver, however when the family zoo includes more than one dog, a scooter with sidecar is clearly a better solution. It is often absolutely amazing how much can be piled onto a scooter. I have seen larger loads than this one, especially in rural areas. 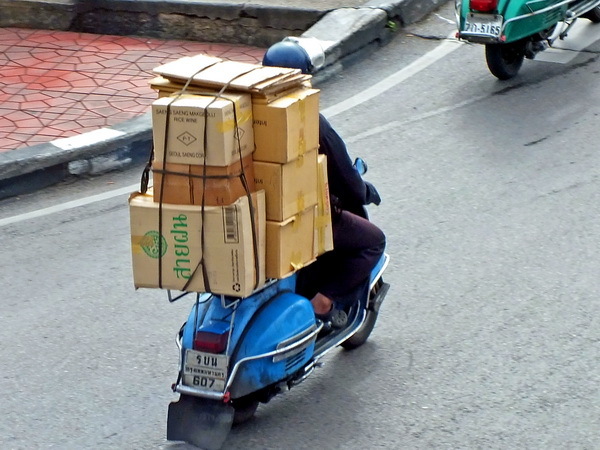 Although nowadays it has become quite normal for Thais to own cars and trucks, the scooter as a workhorse and cheap substitute for a pickup truck will still be around for a long time. 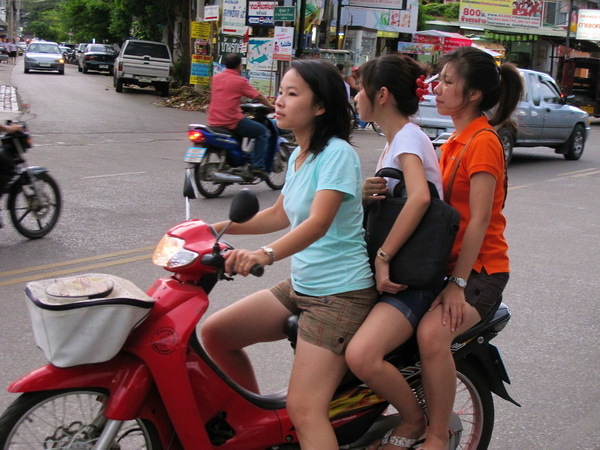 If you know of any other interesting uses for scooters that you have seen in Asia which I have not covered here, please share it with us below. Looks completely normal to me. I’m from rural bush Alaska so generally they will be two or four wheel drive there as no real roads exist, only trails made by driving over former foot paths or raw landscape.